A former Citibank executive, Suyash worked in the mutual fund industry between 2003 and 2012. 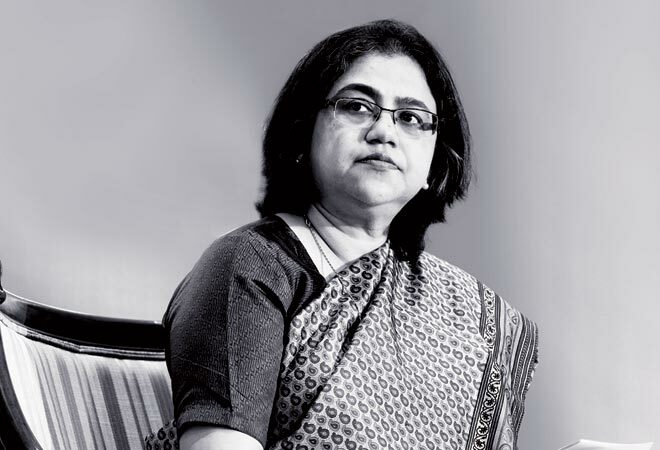 Her last stop was at L&T Investment as its CEO. Ending months of speculation, ratings firm Crisil on Monday named Ashu Suyash its next Managing Director and CEO to succeed Roopa Kudva, who had decided to leave the company six months ago. Business Today wrote about the possibility of Crisil replacing Kudva with an external hire and global recruiting firm Egon Zehnder helping in the succession in its March 15 issue (see High Suspense Rating). There has been a significant reshuffling of portfolios after Kudva decided to leave India's largest ratings firm. It may be noted that the insider widely seen as Kudva's deputy, Ramraj Pai, formerly President and Business Head of the ratings division at Crisil, had been earlier shifted to Crisil Foundation. That change in the portfolio pushed him out of the succession race. He was succeeded by Raman Uberoi, who until then was President (Corporate Affairs) and before that, Chief Operating Officer, Crisil. Uberoi was away from the core ratings business for the last four years. Apart from Uberoi, the three senior most executives were G. Ravishankar, Head of HR; Subodh Shah, Head of Mid-corporates; and V. Srinivasan, Chief Strategy Officer and Business Head for small and medium enterprises (SMEs). Ravishankar also left the agency last month. In fact, as the search moved to an external candidate, there were a series of exits. Arun Panicker, till recently Chief Analytical Officer, had also quit. And so did Mukesh Agarwal, President, Research. The earlier two successions saw a smooth transition from within the company. When founding MD Pradip Shah left in 1994, R. Ravimohan stepped in to take control of the company. Similarly, when Ravimohan was elevated to a global position in 2007, his deputy Kudva took charge. When BT put together the story, company insiders claimed there was no ready successor from within because none has been groomed. Under Kudva, the post of Executive Director remained vacant, with presidents heading each separate business. Two senior people who could have been groomed were Uberoi, now the ratings head, and GV Mani, who quit in 2011. There was too much of reshuffling. Uberoi, for instance, was sent from ratings to operations, then made Chief Operating Officer, then assigned corporate affairs, which essentially meant liaising work. Kudva also sought to infuse fresh talent with senior lateral hires, but none of them lasted. Sachin Nigam, who came from HSBC in September 2011 to head the SME business, quit a year ago. M. Ramsekhar, an ex-GVK Power and Infrastructure employee, who began his career in the Indian Administrative Service, joined Crisil's risk and infrastructure business as CEO in January 2011, only to leave in a year and a half. Similarly, Sanjeev Sinha stayed only two years as President (Global Research and Analytics) at Crisil.